The HIPAA Alliance Marketplace™ is designed to connect Medical Professionals (Covered Entities or CEs) with vendors (Business Associates or BAs) they can trust. 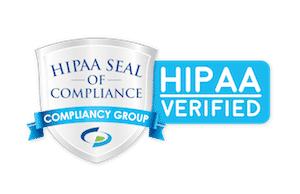 Vendors are verified by Compliancy Group’s industry-standard HIPAA Seal of Compliance™ to earn their place in our secure, closed, HIPAA compliant marketplace. With Covered Entities and Business Associates working in a common ecosystem, The HIPAA Alliance™ saves members time, money, and the hassle of searching for HIPAA compliant vendors. The closed ecosystem allows organizations to confidently work together, with standard Business Associate Agreements (BAA) and validated and verified HIPAA compliant vendors. Don’t risk your business! Confidently choose a validated HIPAA compliant partner. EHR's, Practice Management, Medical Billing from HIPAAAlliance approved vendors. Verified IT/Managed Service Providers to help support your healthcare business. HIPAA compliant applications, email encryption, secure messaging, and more. Marketing, Print & Mail, web design, and other services to help your business grow. Learn How to Join the HIPAA Alliance Today! Browse Vendors or Become One of Our Certified Business Associates!